Cinemablographer: Win Tickets to See 'The Edge of Seventeen' in Canada! Win Tickets to See 'The Edge of Seventeen' in Canada! Hailee Steinfeld is all grown up. 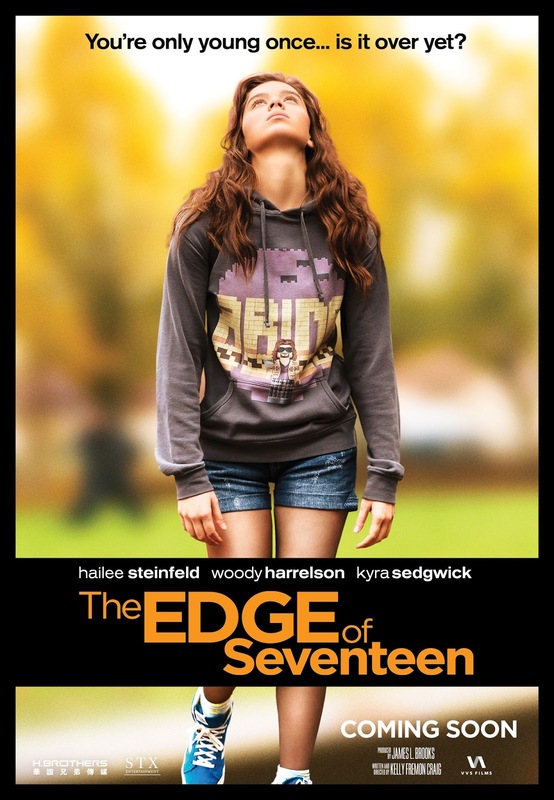 The True Grit and Pitch Perfect 2 star gets her first true starring role in the warmly funny coming of age film The Edge of Seventeen. (Read the Cinemablographer review of The Edge of Seventeen here.) Steinfeld stars as Nadine, a totally award teen in a tiff with her bestie Krista (Haley Lu Richardson) in this winning comedy written and directed by Kelly Fremon Craig and produced by three-time Academy Award winner James L. Brooks. The Edge of Seventeen opens in Canadian theatres November 18 from VVS Films and readers in select Canadian cities have a chance to attend a sneak peek. Answer the trivia below for your chance to win tickets! Synopsis: Everyone knows that growing up is hard, and life is no easier for high school junior Nadine (Hailee Steinfeld), who is already at peak awkwardness when her all-star older brother Darian (Blake Jenner) starts dating her best friend Krista (Haley Lu Richardson). All at once, Nadine feels more alone than ever, until the unexpected friendship of a thoughtful boy (Hayden Szeto) gives her a glimmer of hope that things just might not be so terrible after all. Which actor stars alongside Hailee Steinfeld as Nadine’s curmudgeonly teacher, Mr. Bruner? Contest closes Wednesday, Nov. 9 at noon EST. 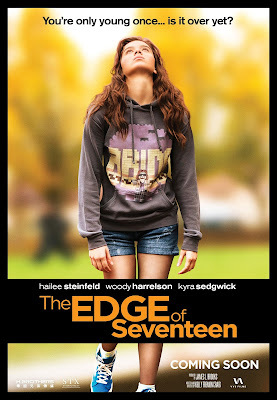 The Edge of Seventeen opens in theatres November 18 from VVS Films. *Entries that do not include a city or include multiple cities will be discarded. ***Limit one win per person per month. Winners caught abusing the contest redemption system will be banned permanently from all future contests.